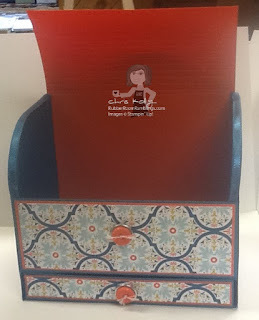 Rubber Room Ramblings: ROLL-TOP CARD HOLDER! This is a little project Keri and I worked on most of day on Saturday when we were in Lansing at the Creative Escape. 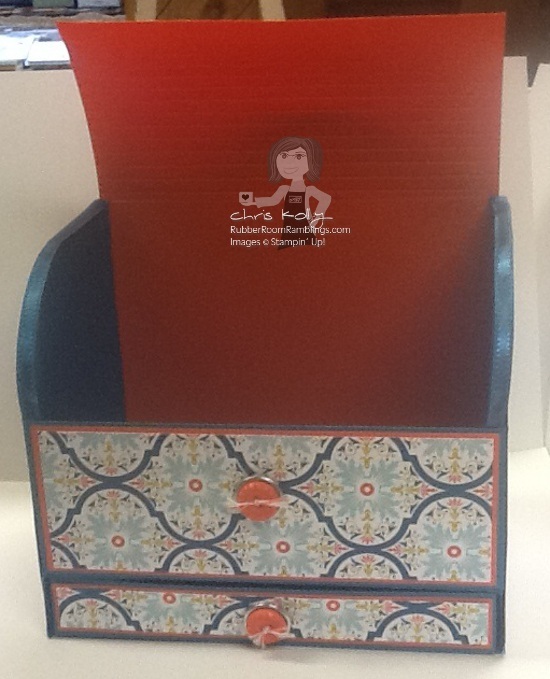 You can put 20 envelopes in the drawer and about a bazillion cards inside the roll-top area. And, yes, the top actually lifts open and can slide inside the box top (just like the top of a roll-top desk). I really think this is very cool, but I won't be making another one any time soon! 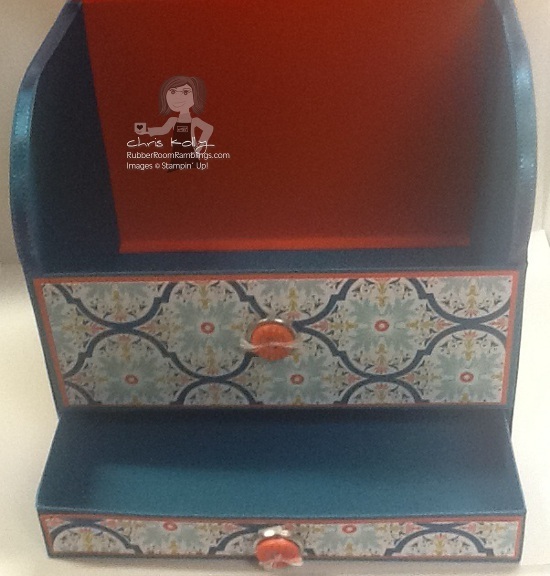 Chris you did a fantastic job with this box, so great to see it! ARTISAN LABEL PUNCH SNEAK PEEK! DRESS UP FRAMELITS PART TWO! TUTORIAL FOR 3X3 POST-IT HOLDER! 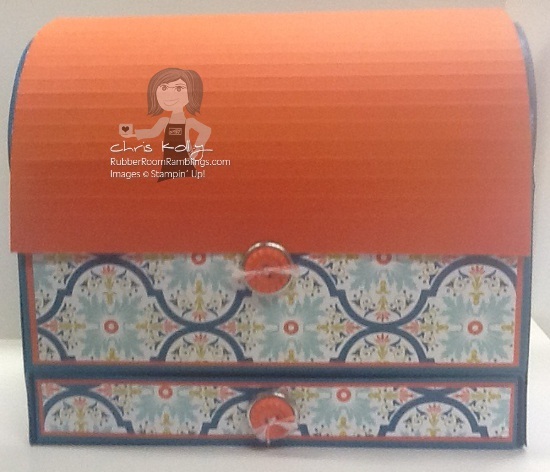 POP-UP POSIES DESIGNER KIT GOES TO LANSING! MDS 25% OFF SALE NOW THROUGH JUNE 15, 2013! BEST OF BRIDES AND BABIES!